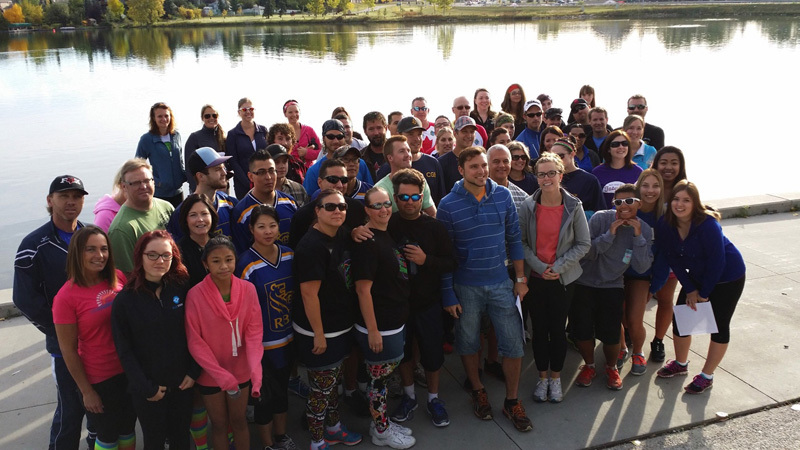 The Rotary Club of Chestermere is hosting it’s 5th Annual AMAZING RACE on Saturday, September 15th from 9:00am – 12:00 Noon, followed by lunch and awards at Camp Chestermere. Teams of 4 will embark on a series of mental and physical challenges throughout Chestermere all in hopes to be the first Team to cross the Finish Line and claim the $1000.00 1st Place prize money. 2nd place wins $500.00 and 3rd place wins $250.00. The Team Entry Fee is $200.00. Every year Rotary Chestermere works with local businesses to come up with new & exciting challenges to keep the race fresh and interesting! This year Rotary is also selling $5.00 Lunch Tickets for people who cannot join the race but still wish to support this event. The Awards Ceremony will also feature a Silent Auction with many great items to bid on! The proceeds of this fundraiser are divided between support for our own community and support of the Shelter Box program for communities around the world. Sign your Team up today! Go to: www.rotarychestermere.org or email rotarychestermere@gmail.com Registration is open until September 8th. The first 20 Teams to sign up & pay the entry fee online will claim their spot in this epic event! The Rotary Club of Chestermere is hosting it’s 5th Annual AMAZING RACE on Saturday, September 15th from 9:00am – 12:00 Noon, followed by lunch and awards at Camp Chestermere. Teams of 4 will embark on a series of mental and physical challenges throughout Chestermere all in hopes to be the first Team to cross the Finish Line and claim the $1000.00 1st Place prize money. 2nd place wins $500.00 and 3rd place wins $250.00. The Team Entry Fee is $200.00. Every year Rotary Chestermere works with local businesses to come up with new & exciting challenges to keep the race fresh and interesting! This year Rotary is also selling $5.00 Lunch Tickets for people who cannot join the race but still wish to support this event. The Awards Ceremony will also feature a Silent Auction with many great items to bid on! The proceeds of this fundraiser are divided between support for our own community and support of the Shelter Box program for communities around the world. Registration is open until September 8th. The first 20 Teams to sign up & pay the entry fee online will claim their spot in this epic event! The Chestermere Whitecapper’s Quilting group would like to thank the Rotary Club of Chestermere for their donation of $500.00. 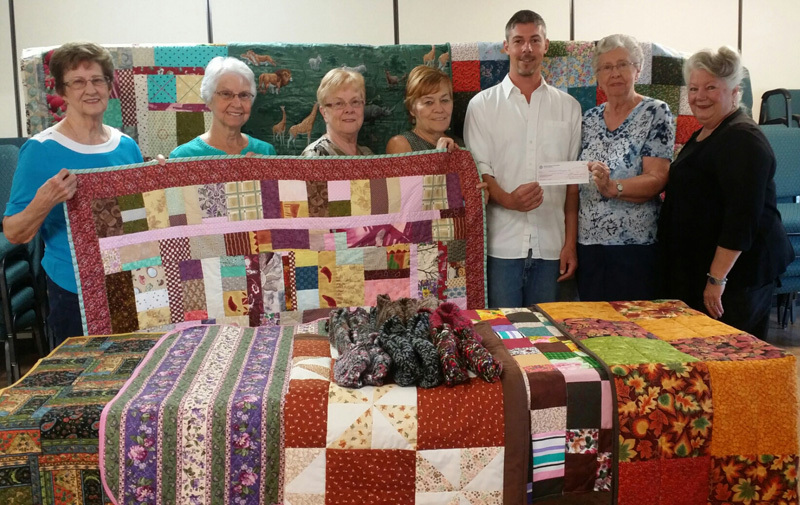 The quilting group is made up of eight ladies, Members of the Whitecappers, and they make comfort quilts to give out to charities. Most of the material is donated to them, but batting and some supplies have to be purchased. They are a self-supporting group and have had to sell a few of their quilts in order to be able to purchase these supplies in the past. Some of the charities they have donated to are Chestermere Community Services, the Sheriff King Home, Col Belcher Hospital, Ronald McDonald House, the Drop In Center, several Seniors Homes and The Unwed Mothers. They also take in donations of wool and yarn and phantom knitters/crochetiers have turned it into to slippers, hats and mitts, and various items that are also donated with the quilts. The group welcomes any donations of material to them, and welcome anyone wanting to drop in for a coffee to see what they do. This donation is very much appreciated and the quilters want to express their deepest appreciation to the Rotary Club of Chestermere for this most welcome gift.